An adult spotted lanternfly with its wings closed. At about 1 inch long, they are found July to December. 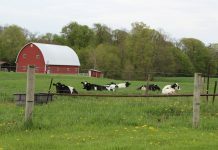 Photo credit: Pennsylvania Department of Agriculture. 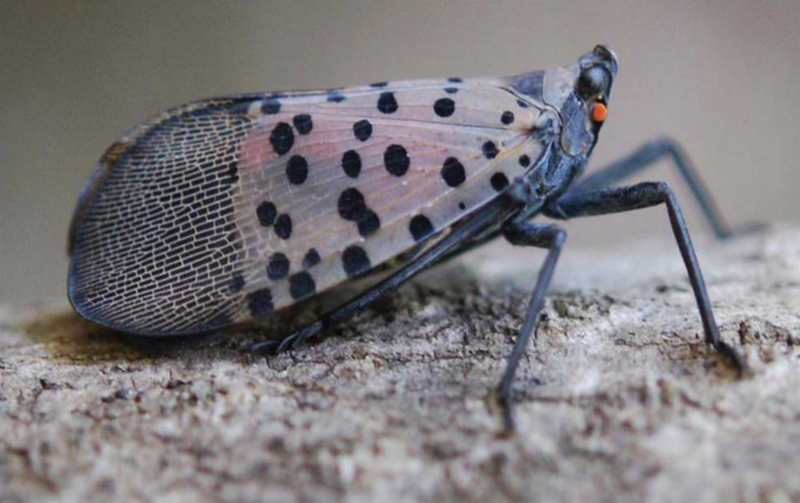 Although it is currently contained in 13 counties in southeastern Pennsylvania, the spotted lanternfly has shown an affinity for increasing its population since it was initially discovered in 2014. This pest’s skills include hitchhiking, camouflage and survival in a Midwestern climate. If we’re not careful, the spotted lanternfly won’t just be Pennsylvania’s problem. Incidentally, its egg masses play a critical role in the species’ survival and advancement. From September to June, identifying and destroying spotted lanternfly egg masses is crucial to stopping the spread of the invasive pest. Spotted lanternfly egg masses are extremely versatile. Not only can they attach to almost any surface, but they can also blend in on almost any surface. This makes them easy to transport and hard to identify. 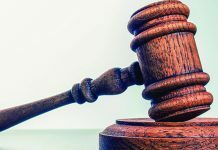 If you heat your home with wood, you should be especially cautious purchasing wood this winter, as it’s one of the easiest ways to unintentionally spread the spotted lanternfly. What can they attach to? In addition to these outdoor items, you should ALWAYS check your vehicle when moving from inside a quarantined zone to outside its bounds, egg masses can hide underneath your car or in your wheel well. Regularly check from late fall to early spring. 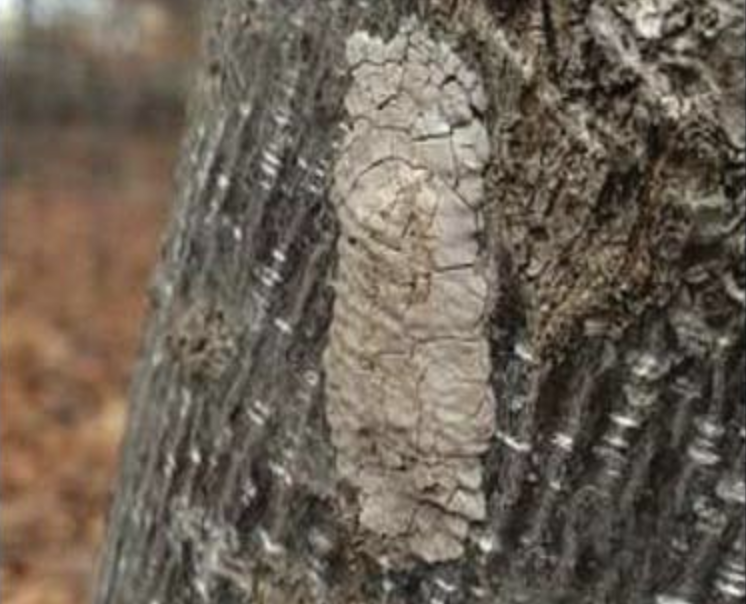 Spotted lanternfly egg masses are found from September to June. Photo Credit: Penn State Extension, E. Swackhamer. Spotted lanternfly egg masses look like unevenly-spread mortar smeared on almost any outdoor surface. The egg masses contain 30-50 eggs and are protected with a mud-like covering, giving them their grey color and cracked-mortar appearance. These eggs masses can be found and destroyed from late September to June. Get a plastic card or putty knife to scrape egg masses off of the surface completely. Scrape egg masses into a bag or container filled with rubbing alcohol or hand sanitizer. You may also smash or bun the egg masses once they’ve been removed, but rubbing alcohol and hand sanitizer have been the most effective for destroying them.